Nobody asked for another Annabelle. John R. Leonetti’s 2014 film was a cheaply produced spin-off of The Conjuring (2013) and a blatant cash-grab that was rushed into production and made for a third of The Conjuring‘s budget. Surprisingly, it lacked any of the qualities that made James Wan’s 2013 film work. While the charm, strong characters, and heart that made James Wan’s film such a success were nowhere to be found the money still followed because of how warmly received the original film was. Making it’s budget back 43 times in the United States alone we were all but guaranteed another Annabelle whether anyone wanted it or not. While David F. Sandberg’s 2017 film Annabelle: Creation isn’t perfect, it definitely feels more in line with the franchise that spawned it and that’s a very good thing. Samuel Mullins (Anthony LaPaglia) is a toy maker who specializes in dolls. He and his wife Esther (Miranda Otto) live a peaceful rural life with their young daughter Bee (Samara Lee) until one day tragedy strikes as the young girl is hit by a truck while Samuel changes a tire on the side of the road. Twelve years later the Mullins have opened their home to a young nun, Sister Charlotte (Stephanie Sigman), and her charges, an assortment of female orphans. The Mullins view inviting the girls to fill their large home as a way to heal and open their hearts after locking them closed in the wake of their tragic loss. Of course, there’s more afoot than that act of Christian charity might lead you to believe. In the lead up to Bee’s death Samuel had been working on a limited series of dolls. Dolls that the audience knows bear a striking resemblance to the queen of creepy dolls, Annabelle. As an aside, these dolls poke at a specific issue I have with creepy doll movies that I feel no one discusses, namely dolls that are meant to be creepy simply… aren’t. You wouldn’t buy this doll. Nobody would buy this doll. What makes the porcelain doll so creepy is the juxtaposition of the innocuousness of the doll with the vague menace they exude. Their cold, hollow eyes always watching. Their hard, shiny too-perfect skin. They border on entering the uncanny valley. They’re already creepy because of those features and there’s no need to give them bulbous bug eyes or aggressively sharp features like the Annabelle doll has. No one in their right mind would ever purchase a doll that looks like Annabelle for any reason other than the fact that it looks so damned sinister. The most famous evil doll of all, Chucky, doesn’t start out looking like he’s going to murder you but Annabelle certainly does. It’s lazy shorthand, in my honest opinion. The film glosses right over this and positions Mullins as a very successful small-time toy maker and one whose dolls are sought after. That straight shatters my suspension of disbelief but is arguably a subject for another article. Moving on. 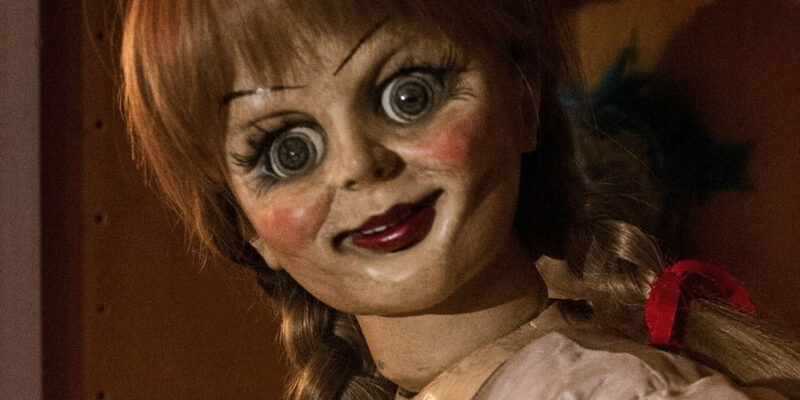 Annabelle: Creation is ostensibly a film about the creation of the titular nightmare doll featured briefly in the opening of 2013’s The Conjuring but thankfully the film spends the majority of its runtime as a character driven horror show focused on the orphans, their new home, and the mounting evidence that something evil is afoot. The film centers around two young orphans in particular. Talitha Bateman’s Janice, a young girl recovering from polio and her best friend, the sympathetic Linda, played by Lulu Wilson who if you’ll recall I absolutely raved about in my review of Ouija: Origin of Evil. These young girls are the emotional heart of the film, and like The Conjuring films this one spun off from, the quiet character moments between them are some of the strongest segments of the film. 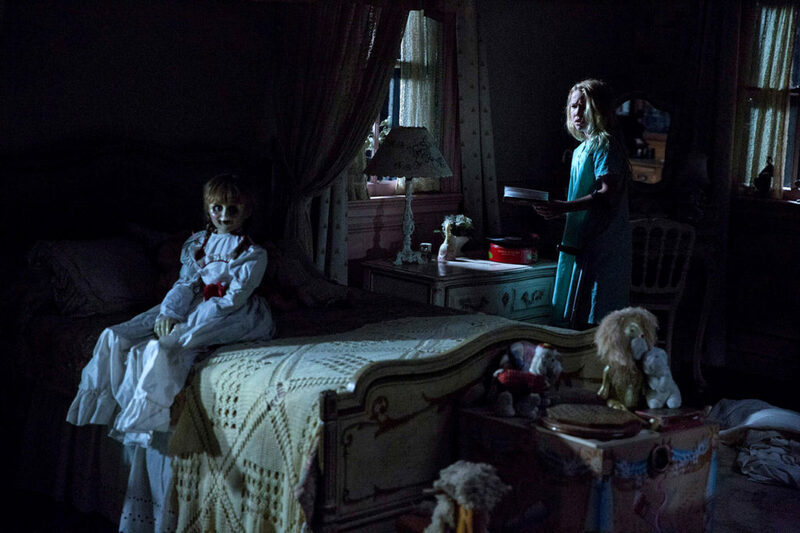 When things begin to hit the fan you legitimately care what happens to them In many ways, sympathetic characters are the cornerstone of real, tangible horror and Annabelle: Creation has them in spades. The scares are plentiful and are a healthy mix of earned jump scares and longer, more dread inducing sequences. Unlike the first film, these scares aren’t strictly made up of things jumping from the dark as loud orchestral stings shock you out of your seat, but are instead well-executed and legitimately frightening. Though it borrows some of its strongest scares from the franchise that birthed it, Sanberg and company bring plenty of fresh terror to the table. These moments build to a fever pitch and when things finally boil over the audience is treated to a truly great extended horror sequence. From a technical standpoint, Maxime Alexandre’s cinematography is lush and interesting, though there were a few shots and transitions in the first act of the film that bordered on masturbatory in their showiness. The film, in general, has a soft, rustic look to it with the exception of these grandiose and very modern swooping pan transitions that are completely abandoned by the 30-minute mark and never return. The scripting by Gary Dauberman, writer of the first film, is markedly improved but for a film that purports to be an origin story it does very little to elaborate on the mythology of the supernatural terror behind the doll. There’s vague handwaving about a demon but that’s about as in-depth as things gets. There’s obviously something to be said for leaving your terror unknowable but here is just feels like they couldn’t be bothered to explain what’s happening. My biggest complaint, however, is how absolutely flat the ending falls if you’ve not recently seen the first film. Much like Ouija: Origin of Evil, the weakest element of this prequel is just how beholden the ending is to the film that it must build to. 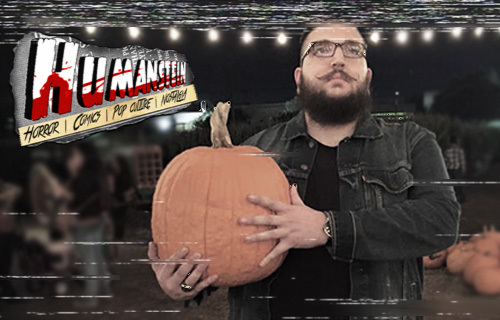 Annabelle was a completely forgettable movie, and this superior film feels the need to dovetail into it to a degree that I personally found frustrating. In the screening I was in I could literally hear half of the audience questioning what was happening, who those people were, and what it meant. Despite my issues with the ending and the vagueness of the evil at hand, Sanberg and Dauberman have made a movie that plays with some interesting ideas. The story is one of the things people do after experiencing tragedy and the ability of grief and loss to both open our hearts to others and to take what’s in our hearts and twist it against us.Some, like Talitha Bateman ‘s Janice let themselves mourn and then move on. Some, like Lulu Wilson’s Linda find their hearts even more open. Some do darker things. The quaint and rustic production design of the Mullins home, and the film, makes the embrace of evil as a means to an end to quell suffering all the more striking. Darkness can live anywhere, and perhaps more importantly, so can hope. Annabelle: Creation is a very solid entry into The Conjuring franchise. While the first film was a misfire, and this one suffers for it some, Creation is miles ahead of its predecessor thanks to its strong characters, a mature thematic focus, and some very well-executed horror sequences. If you like The Conjuring you will undoubtedly enjoy Annabelle: Creation. Just make sure to read the Annabelle Wikipedia page first. Annabelle: Creation is in theaters August 11th, 2017.